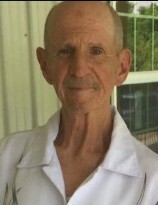 Age 65, of Trenton, passed away peacefully Wednesday, October 10, 2018. He was born August 28, 1953 in Middletown to his parents, Charles “Red” and Zonetta Terrell. David was preceded in death by his father; son, Stevie Terrell; brother, Butch Terrell, and brother-in-law, Vernon Maloney. He is survived by his mother; daughter, Leila Terrell; step-son, Greg (Erin) Keith; grandchildren, Evan and Dillon, Shyann and Jasmine, and Arabella, Gabriela, Lillian, and Aramis; great grandchildren, Mikala, Tony, Tyler, M’Leia, and the family’s newest edition, Zayden; sister, Brenda Maloney; and brothers, Jack Terrell and Mitch Terrell. David was an avid fan of the Bengal’s and The Ohio State University, and enjoyed playing golf and guitar. The family would like to thank Hospice of Butler/Warren County for the wonderful care that was given to David. A graveside service will be held Friday, October 19 at 11AM at Woodside Cemetery, Middletown with Rev. James Anderson, who witnessed David being saved, officiating. A Benefit will be held Sunday, October 21 from 4-9PM at Mutts Brewery Lounge, 3056 Wayne Madison Road, Trenton. Contributions may be made to the funeral home to assist with final expenses.